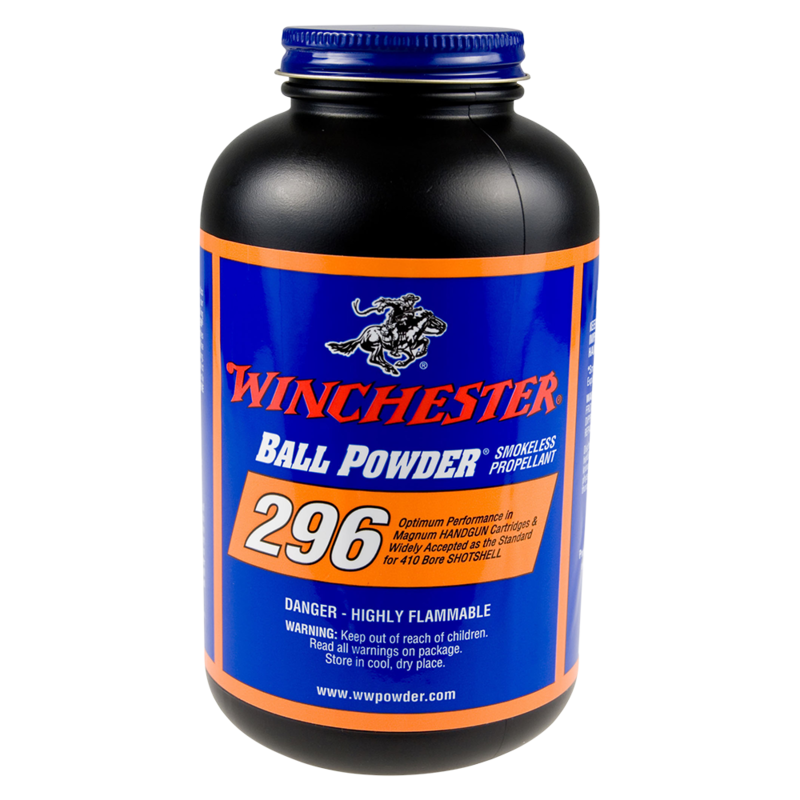 This propellant was developed for Winchester factory-loaded ammunition for 357 Magnum, 444 Magnum, and 410 Bore. Its high loading density provides optimal velocity. 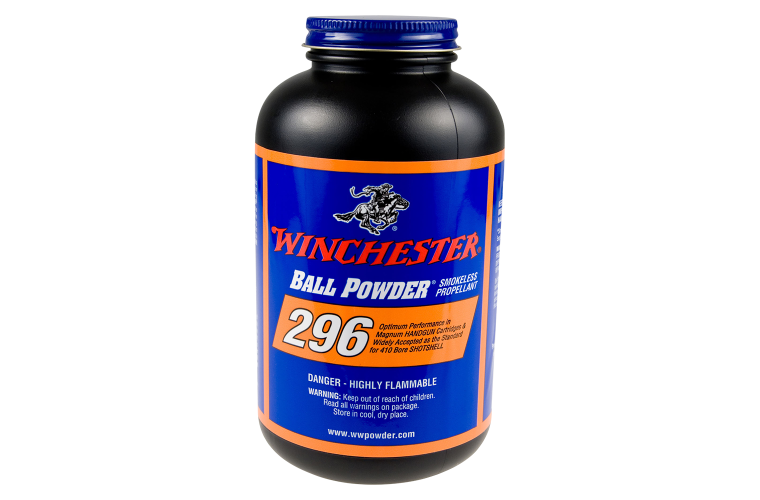 296 is recommended by Winchester for 410 Bore AA loads.